Tis’ the season to be reflectin’ man. Yup. Christmas and New Year had always been the time when most people look back and think about the past year or more. I’m no different. And then, it hits us. But what do we do? What can we learn from the mistakes of this year so that we can make the most of the new year? 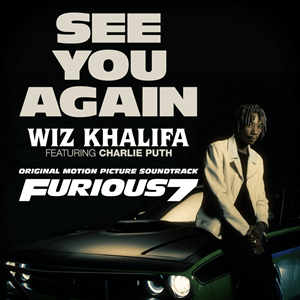 See You Again is by far my favourite song of the year. Because no matter how many times I hear it, it makes me feel sad and hopeful at the same time. And it gets me every time. I feel sad about all the people I’ve lost. Not just those who have passed on. But also those friends who faded out of my life over the years. I think back to the times when we had so much fun together. Then I snap back to the present and remember that we no longer talk to one another or that we are no longer good friends. Or friends at all. But the song also makes me hopeful. It’s not all doom and gloom. My 2015 also brought back some very old friends into my life. Weddings and babies can do that to a person. It’s funny. Just cause you don’t keep in touch for a long period of time, doesn’t mean the connection and friendship is lost forever. Friends, the ones that last a lifetime, they don’t truly ever go away. When life settles down and isn’t so crazy, some friends will find their way back to each other. Time and place people, time and place. People change. But affection and feelings one has for old friends will never go away. You just gotta rekindle it. Just remember, it takes two to clap. Uh. How can we not talk about family when family’s all that we got? Honestly, from the moment I heard the piano solo at the start of the song, I was hooked. Maybe cause I love piano solos. But for me, the reason why the lyrics of the song and this music video always brings tears to my eyes is because of the context of the song. This song is from the soundtrack of the 7th Fast And Furious film and was written in memory of actor Paul Walker. He died in 2013 before he could finish the film. It was only completed because his brothers stepped in to help finish it. The poignant video is dedicated to Paul Walker at the end of the film and it unabashedly pays tribute to the fallen actor, friend, and family member of the cast of the Fast And Furious franchise. Come on! How can this not bring a tear to your eye? I’m a sentimental fool that’s way too sensitive for my own good. So I didn’t just tear, I turned on the water works. Not the wailing type cry, just lots of tears rolling down my face. Love this song! Enough said.